Malaria, a scourge on human society that still kills more than 400,000 people a year, is often thought to be of more modern origin - ranging from 15,000 to 8 million years old, caused primarily by one genus of protozoa, Plasmodium, and spread by anopheline mosquitoes. "Scientists have argued and disagreed for a long time about how malaria evolved and how old it is," Poinar said. 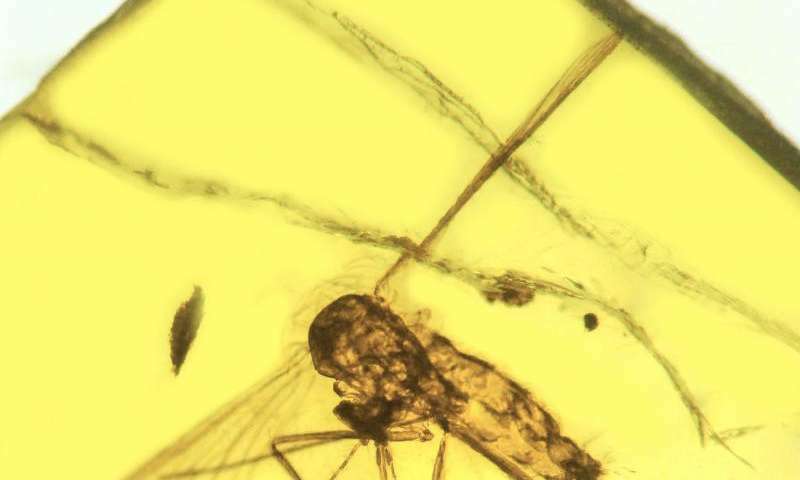 "I think the fossil evidence shows that modern malaria vectored by mosquitoes is at least 20 million years old, and earlier forms of the disease, carried by biting midges, are at least 100 million years old and probably much older." 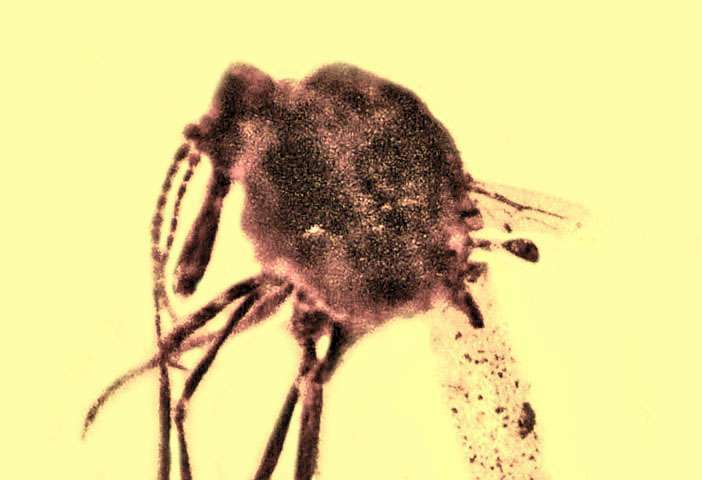 Even further back, malaria may have been one of the diseases that arose, along with the evolution of insects, and had a huge impact on animal evolution. In a 2007 book, "What Bugged the Dinosaurs? Insects, Disease and Death in the Cretaceous," George and Roberta Poinar argued that insects carried diseases that contributed to the widespread extinction of the dinosaurs around the "K-T boundary" about 65 million years ago. "There were catastrophic events known to have happened around that time, such as asteroid impacts and lava flows," Poinar said. "But it's still clear that dinosaurs declined and slowly became extinct over thousands of years, which suggests other issues must also have been at work. Insects, microbial pathogens and vertebrate diseases were just emerging around that same time, including malaria."